Custer started first, finished third and earned eight bonus points. Custer held the Code 3 Associates Ford in the lead for the first 43 laps of Stage 1. After a lap-64 caution, Custer restarted fourth and moved up to third before the stage ended. He pitted for four tires and fuel at the conclusion of the stage. Custer started eighth, finished fifth and earned six bonus points. Five cars pitted before the conclusion of Stage 1, putting Custer in the eighth position. Custer was caught in traffic on the restart and noted loose-handling conditions when he got back to the gas. Custer took four tires, fuel and air pressure adjustments at the conclusion of the stage. Custer started eighth, finished sixth. During the pit stop at the end of Stage 2, the No. 00 team received a penalty for an uncontrolled tire and forced Custer to the rear of the field. Following a lap-164 caution, Custer powered his way back into the top-10 in less than 10 laps. 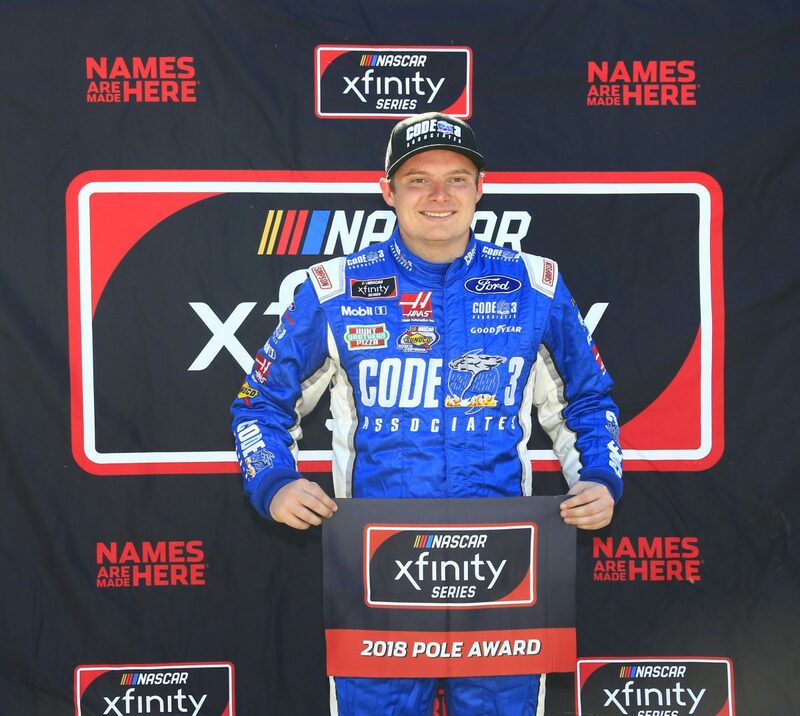 Custer continued to wheel the Code 3 Associates Ford through the field and fought his way up to sixth when the race concluded. Custer earned his and Stewart-Haas Racing with Biagi-DenBeste’s second straight pole. This marks Custer’s second Xfinity Series top-10 at Richmond and sixth straight top-10 of the season. Custer earned14 bonus points in the Richmond 250. Custer led once for a total of 43 laps. Five cautions slowed the race for 49 laps. Only 15 of the 40 drivers finished on the lead lap. No NASCAR Cup Series drivers were entered in the Richmond 250. Christopher Bell won the Richmond 250 to score his second career Xfinity Series victory, first of the season and first at Richmond. His margin of victory over second-place Noah Gragson was .423 seconds.